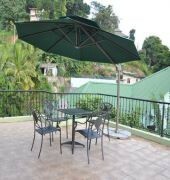 Amanda Hills is located in Kandy, just within 5 minute drive from the city centre. Accommodations feature sitting and dining areas, satellite TV, mini fridge and bathroom with hot water. 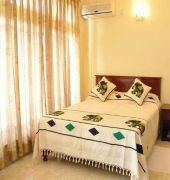 Some of the rooms are equipped with air conditioning. Guests can enjoy dining in the rooftop restaurant serving traditional Sri Lankan, Western and Chinese cuisine. 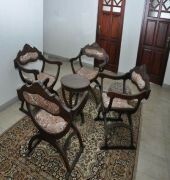 Facilities and services offered are laundry, dry cleaning, housekeeping and internet access. 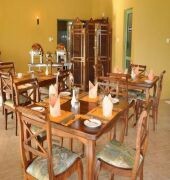 The hotel can also assists guests in arranging tours and excursions around the city. 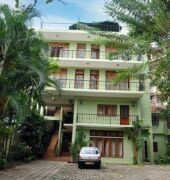 Attractions in the area include the Temple of Tooth, Royal Palace, Kandy Lake, Udawattakele Forest reserve, Hanthana Mountain range, Royal Botanical Gardens and the Pinnawala Elephant Orphanage. Bandaranaike International Airport is 107 km away.